In the activated stopwatch display, press Start Stop to start measuring time. Press Back Lap to make a lap, or press Start Stop to pause the stopwatch. 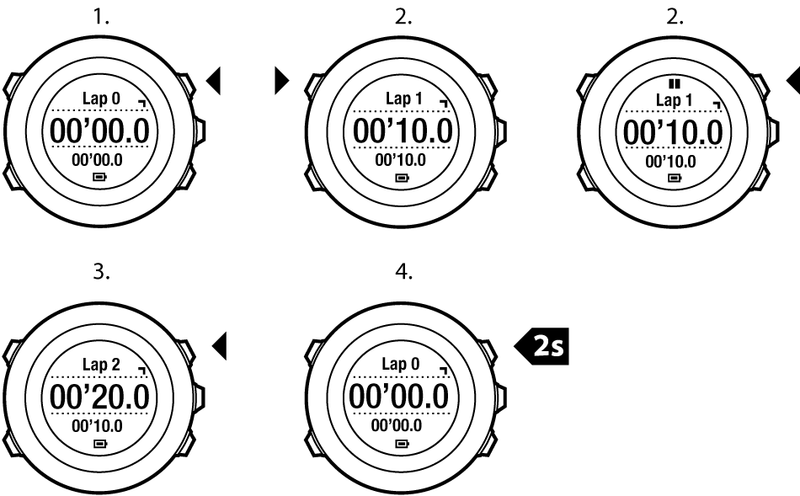 To view the lap times, press Back Lap when the stopwatch is paused. Press Start Stop to continue. To reset the time, keep Start Stop pressed when the stopwatch is paused. press View to switch between the time and lap time shown on the bottom row of the display. switch to time mode with Next. enter the options menu by keeping Next pressed.